Nice and plays well. If you need an ax with these characteristics, the Fender Standard Telecaster is just the thing for you. The simple, yet proven electronics and hardware can help you learn the basics even faster. Its versatility and very playability are a plus, too. So, whether you are a beginner practicing your own style or a hungry seasoned player, this one is something you can depend on. If you are looking for a guitar that perfectly blends classic sound and modern design, then, you’ve just found it! Fender Standard Telecaster is the best of both worlds. It’s a perfect guitar to play jazz and blues, but it also makes you scream if you want to play heavy metal out of it. There are two types of Fender Tele – American-made and Mexican-made. This tagging is not about which is better, but it’s about where the guitar is being made. The Mexican Tele is a little cheaper than the US Tele, though. And to be upfront, we will be reviewing this Mexican-made version of the Fender Standard Telecaster. Whichever among the two is in your possession now, surely these things are a great pick! From the construction, finish, sound, and electronics, both versions are created equal. It’s a Fender! And, the company never compromises quality build to produce cheaper versions of superior Teles. It has a simple design – the classic single cutaway – which makes it look like an acoustic guitar. The body is made of Alder which is also the wood used for Stratocasters. Alder gives that bright resonant tone, specifically on the upper mid-range. Furthermore, it provides longer sustain to sharp attacks – perfect for shredding. The overall construction is sturdy and strong. The body and neck finish is flawless. It is well-built and upholds the Fender quality. No wonder it’s been used by several musicians – even seasoned players – on concerts for several decades now. This guitar features a C-shaped maple neck, which gives comfort and style while playing. You can play for longer hours because of its smooth maple fretboard. Got the satin urethane finish on the back of the neck throughout the scale length of 25.5 inches. Two options for the neck and the fingerboard: one-piece maple and maple with rosewood fretboard. The former gives you brighter tones, while the latter rounds the sounds off a bit. So, you choose which one you need to have. The fingerboard is smaller at 9.5 inches and has 21 medium jumbo-sized frets with black dot inlays. And, the fret edges are way too smooth and seem to have been properly polished. You can play a lot of songs from this fella. Because of its simplicity, beginners can easily develop their own unique style. In addition, it’s versatile enough that even professional players will enjoy it. Basically, it’s got all the necessary parts of an ax – three-way pickup selector, master volume knob, and master tone control knob. The latter two can be adjusted individually. 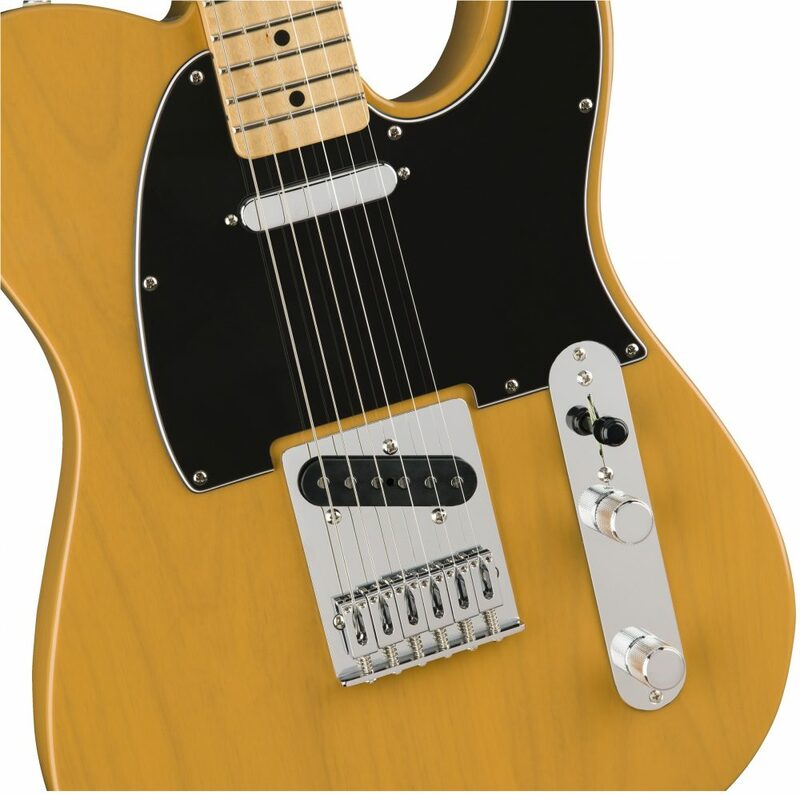 It has that traditional Tele configuration with two single coils – one at the neck and one at the bridge. Tuners are modern-looking, yet do their job well. They can hold tunes well and practically no issues with the intonation and stay in tune. The hardware is chrome and Tele is known to have a killer bridge that extends towards the bridge pickup. 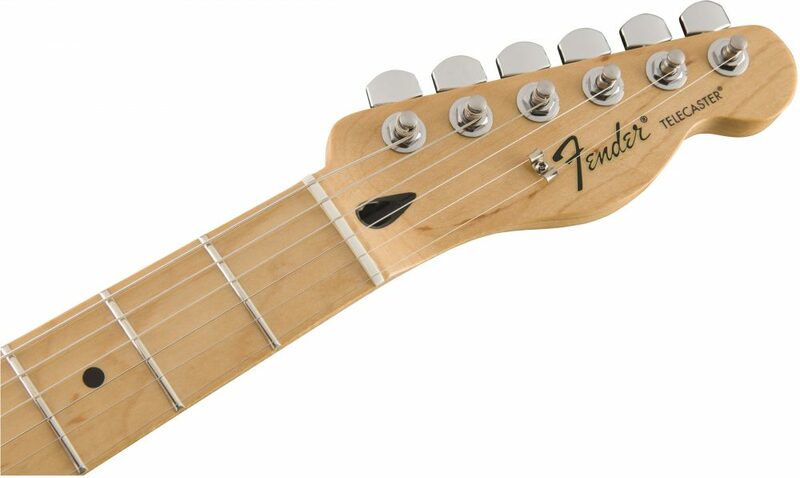 It’s got six adjustable saddles – a standard look for Fender guitars. This provides the strong sound of the Telecaster tone. Though the sound quality is a little too subjective, I’ll try to explain it as precisely as I can. You can get a classic jazz and blues from this Tele. Not only that, it’s perfect for rock, punk, even country, and heavy metal, too. Fender also gives you a bonus with their advanced shielding. This means that the single-coil buzz, which most Teles have, is reduced to a minimum. With this, you can do more experimentation without noise and hums bothering you. Whether you have a Mexican or American Tele, the sound won’t differ much. After all, they’re both Fender. And, you’ll really get that great clean signature Fender tone for both guitars make. However, if you really want to customize, you can simply swap out any components and replace it with the ones you love, its fine. This is what makes this Tele more versatile and playable. Not only me, but many players love Tele over Strats for various reasons. One is the uniqueness of the Tele. It’ll shine distinctly and perfectly with other instruments in play. It’s Simple and Very Playable – It Rocks, Indeed! Whether you are a beginner or concert king, Fender Standard Telecaster is something you might want to own. It has all the simple things you need in a Tele, and yes, it’s indeed twangy. 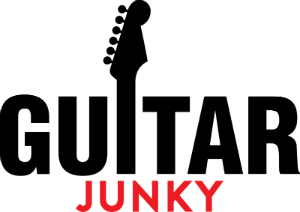 Take a break from all those complicated controls and start to give this thing a break on your next practice or concert, perhaps! Personally, I don’t feel like buying it. It’s way too basic and way too common. And, it’s not that cheap, remember. Even if you can get the Mexican Tele for a lower price, it’s still not worth it. I’d rather save a few hundred dollars for a more expensive Tele, such as this Fender American Special Telecaster or another advanced ax right there, like this American Vintage ’52 Telecaster. It’s just my personal preference. It shouldn’t be affecting yours in any way. It can play rock, punk, jazz, blues, you name it – it’s that versatile. The setup is simple and the controls are easily adjustable. So, would you still need more time for thinking? Buying a guitar is not a simple decision. After all, you got to spend your hard-earned money on something that you might not be using entirely – if you don’t like it. Is this really a great guitar? Not all great guitars are playable by anyone. Maybe some, but it takes time. Do you agree with this review? Let me know by leaving your comments below! Squier Standard Telecaster Review – Beginner’s Perfect Jamming Partner? Squier Affinity Telecaster Review – A Perfect Bang for The Buck Guitar? Squier Affinity Stratocaster Review – A Perfect Starter’s Guitar?